Tooth decay is a disease and is considered a childhood illness. When tooth decay remains untreated, it can be devastating to your children. Parents, do not be careless about this matter, because the consequences of your actions can extend far beyond what our dental providers are able to repair. In the United States, dental health is one of the most unmet needs of children. Approximately 17 million kids will go without adequate dental care. More than 25 percent of children ages 2 to 5 years old suffer from this disease and 50 percent of adolescents 12 to 15 years of age experience tooth decay. It is a global problem and a common illness among youth. This dental problem is one of the most expensive things to treat - parents need to be proactive in addressing tooth decay issues. Parents you may ask yourself, what is tooth decay? Tooth decay is a progressive dental disease. This childhood illness can permanently cause damage to dentition because it creates tiny holes in the teeth and breaks down the outer surface of them due to bacterial invasion. Food and bacteria is the primary cause of tooth decay and poor oral hygiene is the secondary factor. When plaque forms on the teeth and gums, it contains bacteria. These microorganisms produce acid and they can attack your children's teeth for 20 minutes or more after they eat or drink. Unfortunately, the warning signs of tooth decay can be hard to spot. You may see brown spots on your child's teeth or a dull, white band of film along the gum line. In worse cases, your kid's gums may become red and swollen. Once this disease progresses, black areas may show up on dentition, which is accompanied by gum inflammation. Your adolescents may experience a lot of pain and discomfort in the advanced stages of the disease. Why Is Tooth Decay Considered to be Detrimental to Children? Tooth decay is detrimental to your children's health because it can cause pain or discomfort, damage their teeth, and affect their growth. 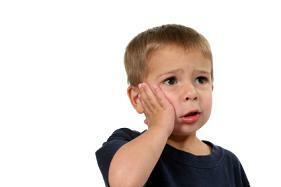 Serious consequences such as impaired speech and jaw development may occur in smaller children with baby teeth. Parents do not let your kid's teeth remain untreated. If you do not take immediate action, your little ones may experience continuous pain, discomfort, and anxiety. This will cause you to pay for expensive and complicated treatments that could have been avoided. You can prevent this kind of dental problem in infants, toddlers, preschoolers, and school-aged children. In babies ages 6 to 8 months old, once they start drinking other beverages besides milk, give them water because this is one of the best alternatives. Many drinks contain sugar, which sticks to the teeth; bacteria uses sugar as a food source to fuel acid production. Acid can break down your children's teeth and cause decay. Parents with toddlers, preschoolers, and school-aged children can offer their kids a variety of healthy foods to eat and beverages to drink. Try to teach them the importance of eating fruits and vegetables and avoiding sugary drinks. Water is one of the best options because it can keep your kid's hydrated without the unwanted sugar and calories. Encourage them to engage in good oral hygiene. Educating your children about the importance of dental health will follow them to adulthood. The entire family needs to work hard to keep their teeth clean and healthy. Do not share toothbrushes or floss. Everyone needs their own because the bacteria that causes tooth decay can be transmitted from a toothbrush into a person's mouth. Parents you need to remember that tooth decay is not good news. It can cause undue pain and discomfort in children, if it is left untreated. When you first spot the warning signs of tooth decay, be proactive and do something about it. Teach your kids about the importance of good oral hygiene and healthy eating and drinking habits. On the other hand, parents you cannot completely prevent this childhood illness. If your young one starts to experience any of the symptoms described in this article, do not be afraid to contact our dental office for assistance. Remember our office is here to advise and offer you guidance on how to approach this issue. Please call us today to make an appointment, so we can help you reclaim your child's healthy smile.